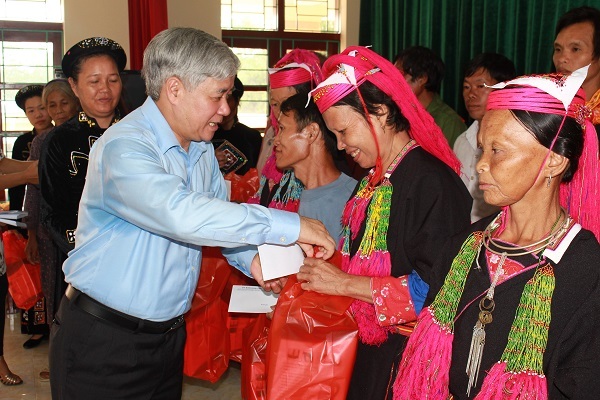 who effected by flash flood On August 8th, CEMA’s delegation leading by Mr. Do Van Chien, member of the Central Party Committee, Minister, Chairman gave compliments, encouraged and supported people who effected by flash flood in Yen Bai province. 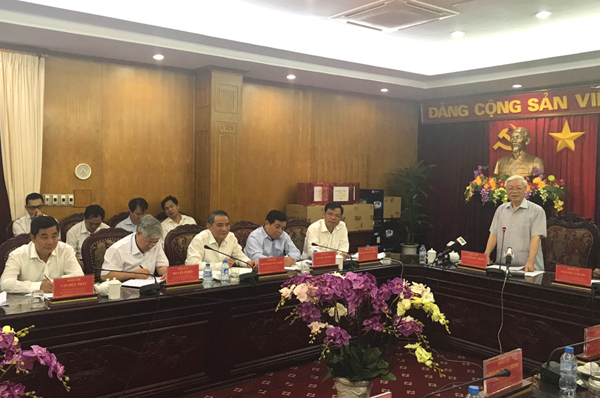 In the delegation, there are: Nguyen Quang Duc, Head of The Department of Locality I; Bui Van Lich, Chief of Secretariat, President of Trade Union in CEMA; representatives of Party Civil Affair Committee Office and Party Office in CEMA. 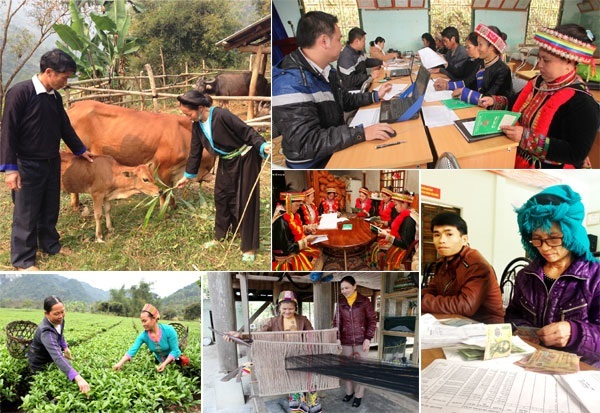 On May 18th, in Lao Cai city, Lao Cao Province People’s Committee launched 2017 Conference commending the influential individuals. Attending to the Conference, there are: Minister, Chairman of Committee for Ethnic Minority Affairs Do Van Chien, along with 150 outstanding representatives, which represent for 1,451 influential individuals (NCUT) in the province. 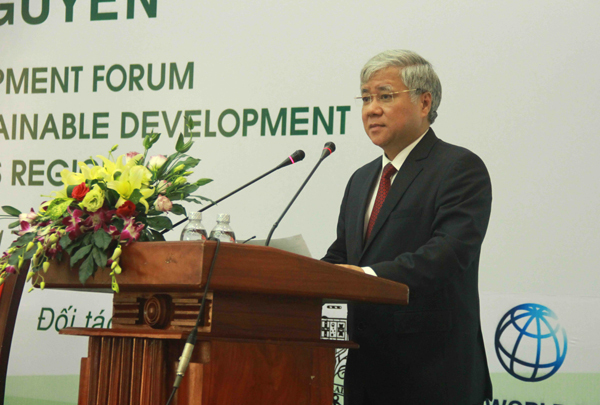 On September 18th, 2017, Thai Nguyen city, the Committee for Ethnic Minority Affairs associated with Thai Nguyen University of Agriculture and Forestry, UN-REDD program in Vietnam and ILO launched the Conference sharing experience in ethnic tasks between ASEAN nations with the subject: “Harmonious development among culture, environment and economy in mountainous and ethnic minority area”. From August 3rd to 4th, 2017, the Minister, Chairman Do Van Chien attended the opening ceremony of the Culture and Sports Week of the Northeast and attended the investment promotion conference in Tien Yen (Quang Ninh province). Visiting and giving gifts to ethnic minorities whose are especially poor in Ha Lau. 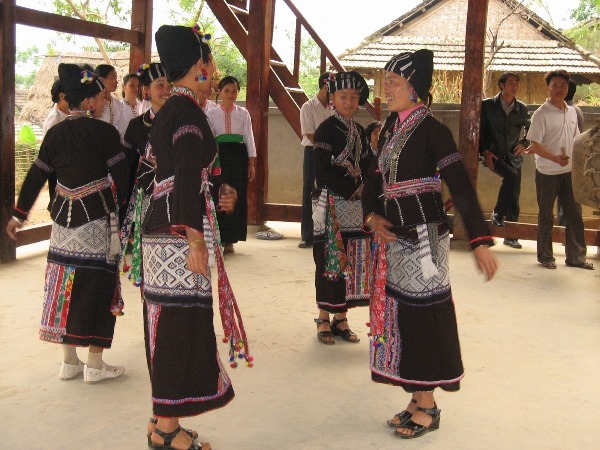 On October 19, in Gia Nghia town, Dak Nong province, the Committee for Ethnic Minority Affairs (CEMA) has cooperated with the National Assembly's Ethnic Council, the People's Committee of Dak Nong Province and the World Bank organized the " Forum of promoting public-private partnerships in ethnic minority development in the Central Highlands region 2017". 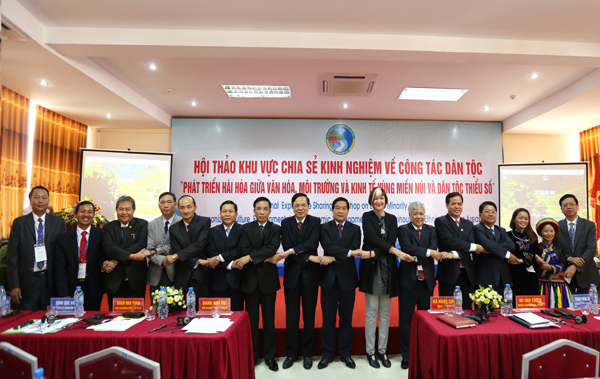 Chairman of the Ethnic Minorities Council Ha Ngoc Chien; Minister and Chairman of CEMA Do Van Chien; The representative of the Food and Agriculture Organization of the United Nations - Mr. Jong Ha Bae and Mr. Cao Huy, Vice Chairman of Dak Nong People's Committee have co-chaired the Forum. 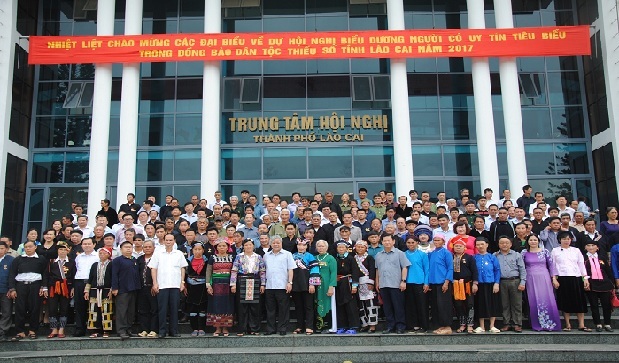 On July 24th, the Government delegation leading by Truong Hoa Binh, member of Politburo, Deputy Standing Prime Minister visited and worked with fundamental cadres in Quang Ngai province in ethnic tasks. 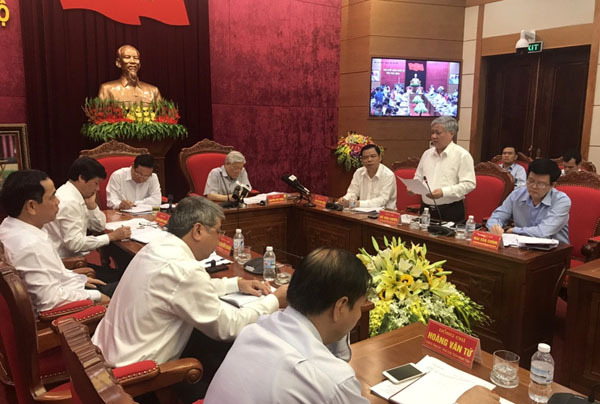 Do Van Chien, member of the Party Cell Executive Committee, Minister, Chairman of Committee for Ethnic Minority Affairs; leaders’ representatives of Tay Nguyen Director Broad and leaders of Ministries, Central agencies whom participated the delegation. 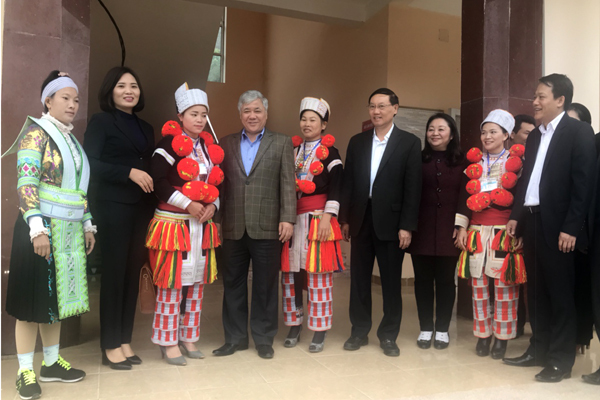 On the occasion of the sixth Buon Me Thuat Coffee Festival, 2017 Gong Cultural Festival and the fourth Promoting investment for Tay Nguyen; from March 9th, Do Van Chien, member of Central Party Cell Committee, Minister, Chairman of the Committee for Ethnic Minority Affairs has a visit and worked in Tay Nguyen. Executing the plan meeting voters after the fourth meeting of the XIV National Assembly of the delegation of National Assembly representatives in Tuyen Quang province. 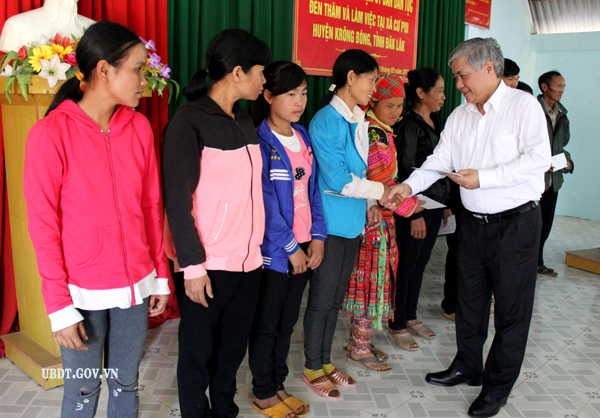 On November 29th, the member of the Central Party, Minister, Chairman of CEMA Do Van Chien had a contact with voters in Sinh Long and Yen Hoa communes, Na Hang district, Tuyen Quang province. 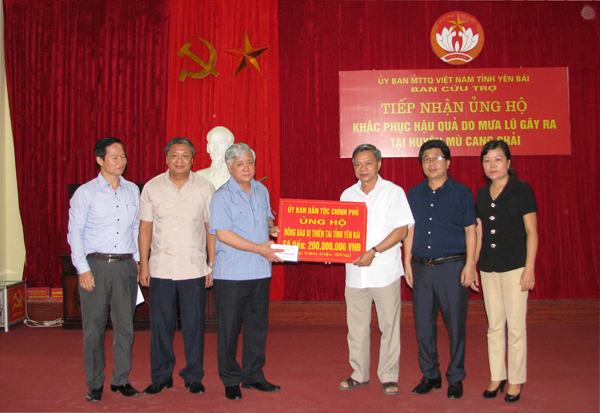 On two days: May 14th and 15th; the CPV General Secretary Nguyen Phu Trong visited and worked at Hoa Binh provide. 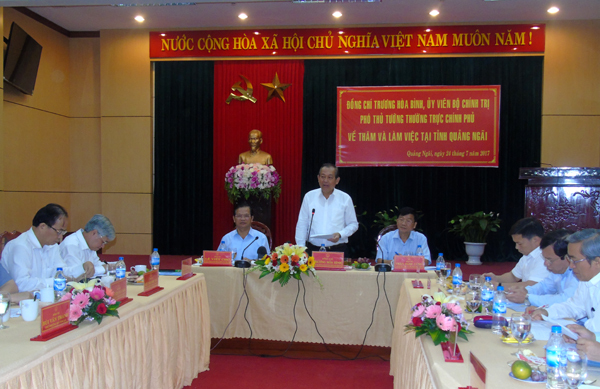 Also, the member of the Central Executive Committee, Minister, Chairman of the Committee for Ethnic Minority Affairs Do Van Chien; the member of the Central Executive Committee, Minister of Agriculture and Rural Development Nguyen Xuan Cuong; Heads of the Personnel Department of the Central Committee, Central Economic Committee and North West Steering Committee were together with the CPV General Secretary.